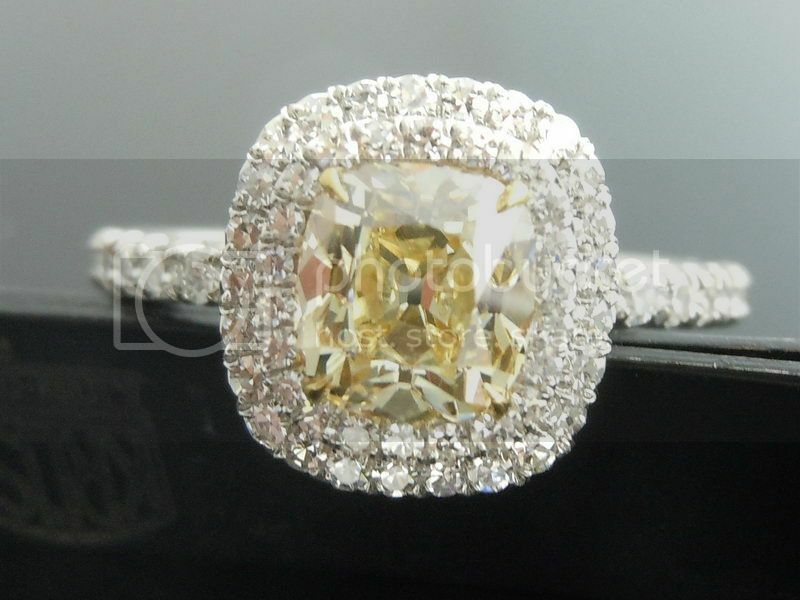 This item has a starting price of $5100 with diamonds purchased from Diamonds by Lauren. 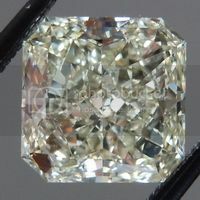 Please contact us for quotes on larger sized center diamonds or colored diamond melee. 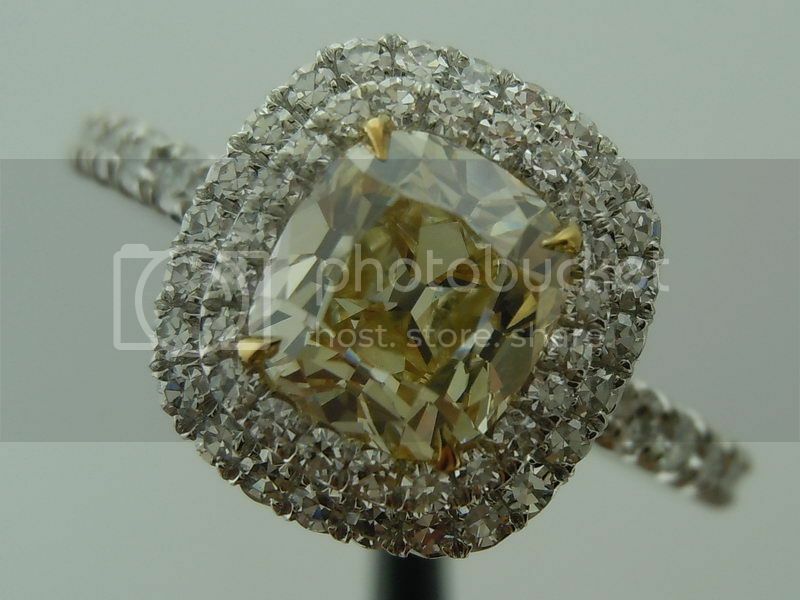 Here is a gorgeous handmade double halo diamond ring. 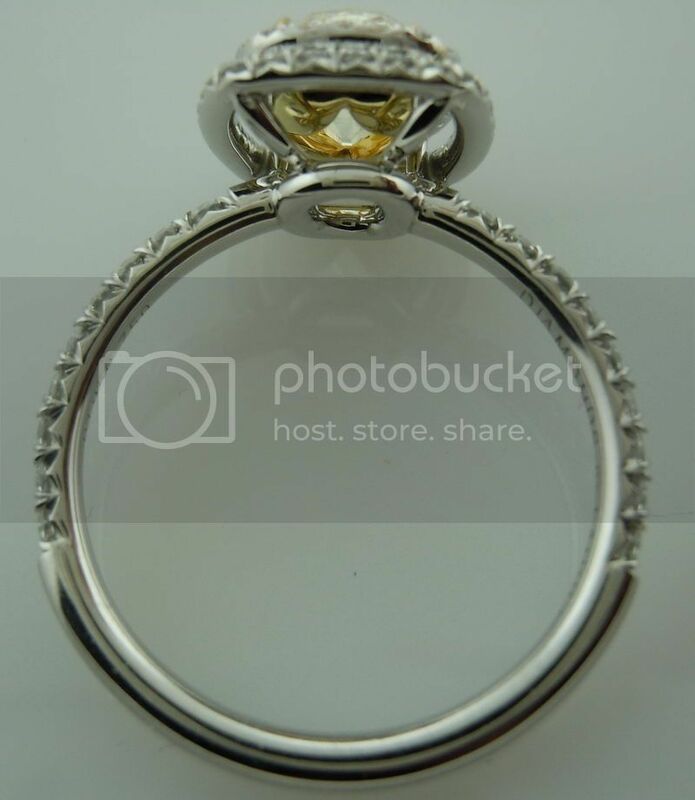 Attention to the smallest detail - and impeccable design make this ring something to be cherished. 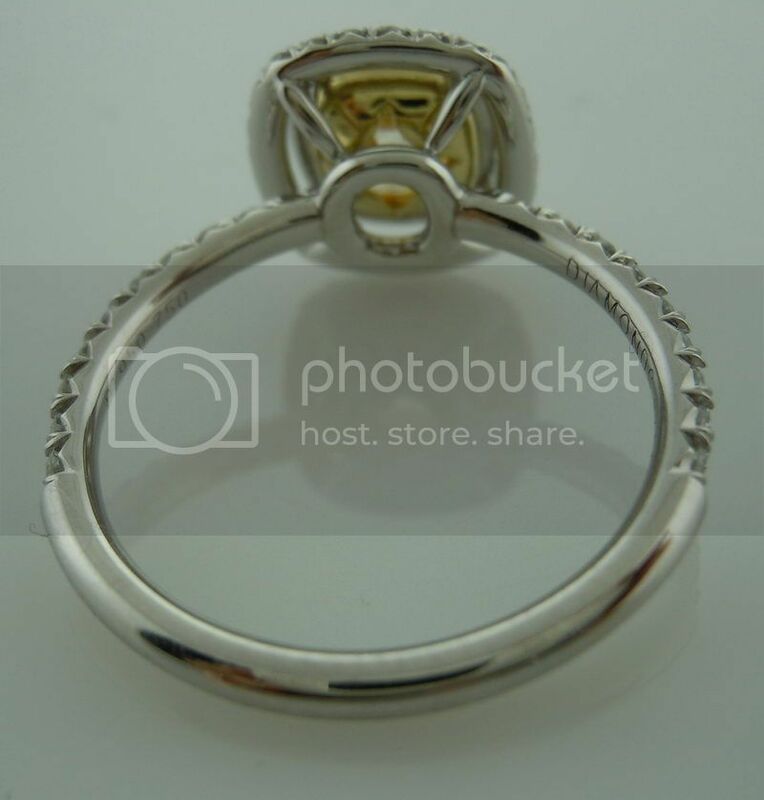 The detail work on these rings is remarkable - perfection from any and every viewing angle. 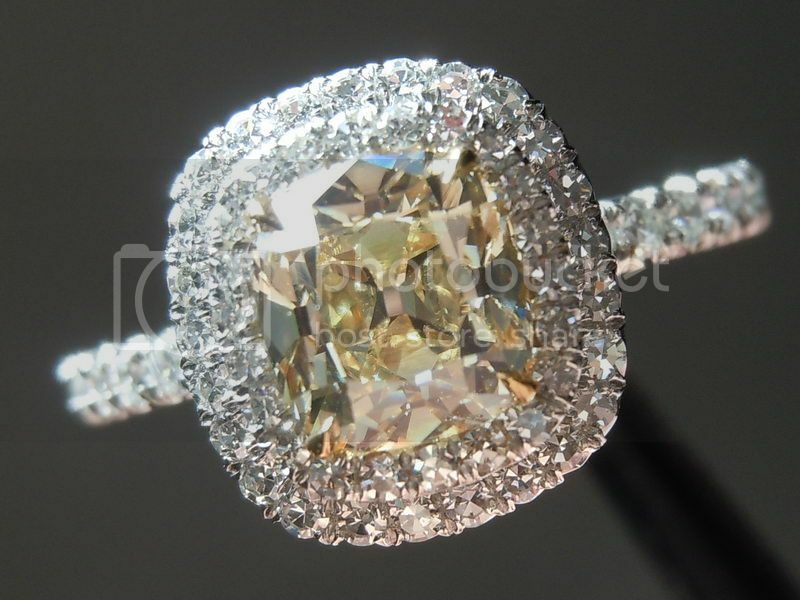 The double halo adds a great visual size to the ring. 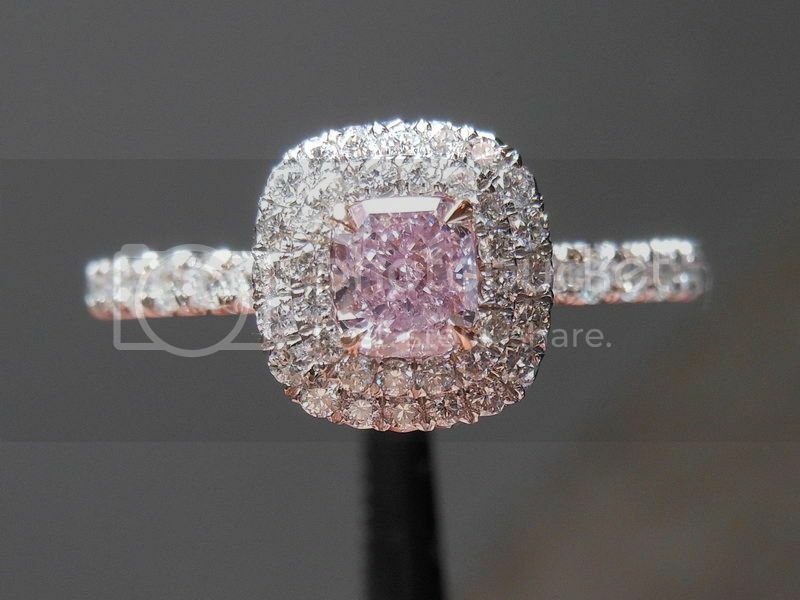 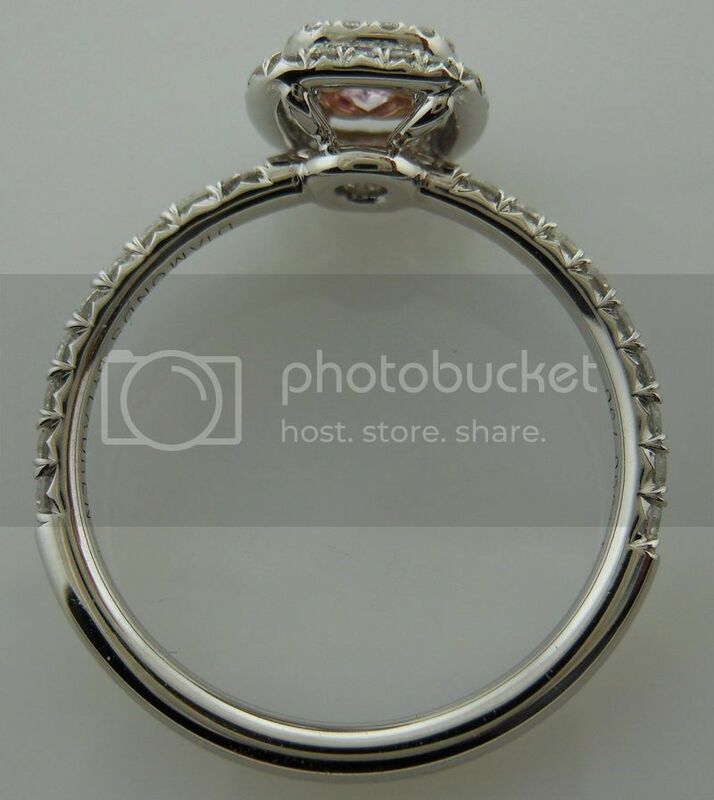 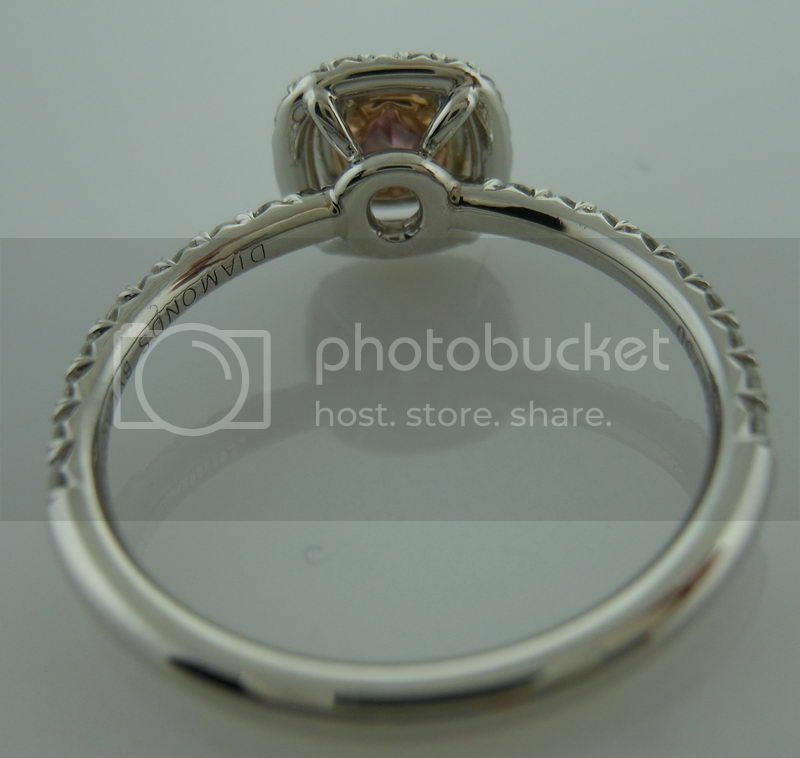 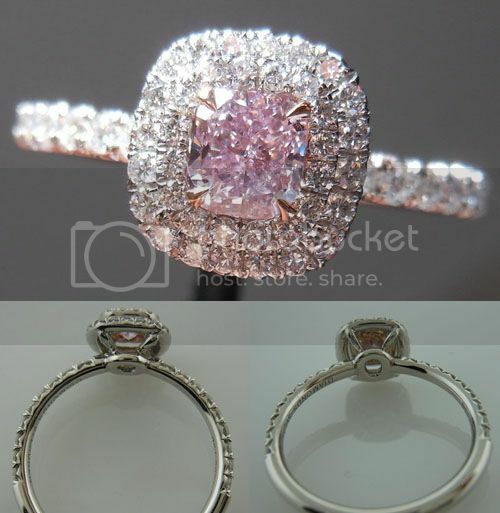 As shown below with a .329ct Fancy Purple-Pink SI1 Cushion Cut Diamond (not included in the price of the listing). 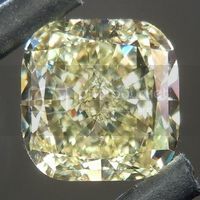 On this particular example, the setting has 54 E-F VS round brilliant diamonds for a total weight of .37cts. 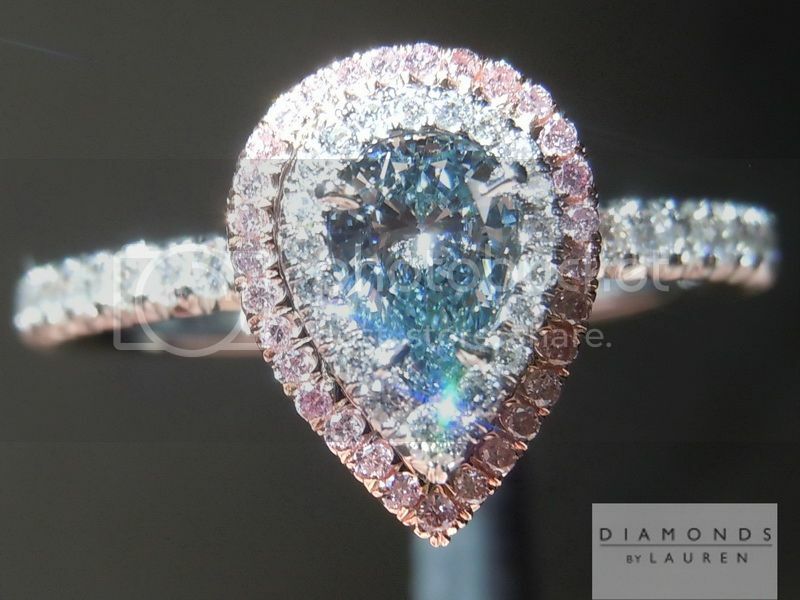 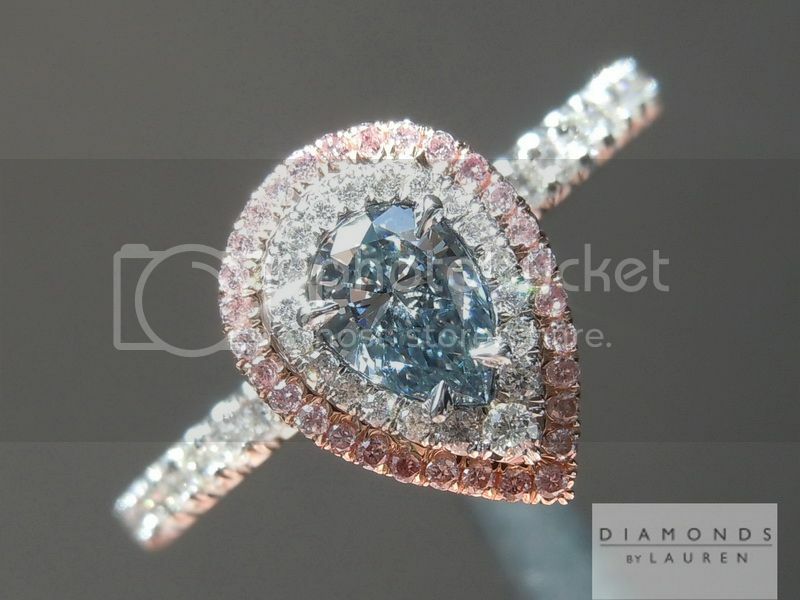 As shown below with a .24ct Fancy Gray-Blue SI1 (GIA) Pear Shape Diamond (not included in the price of the listing). 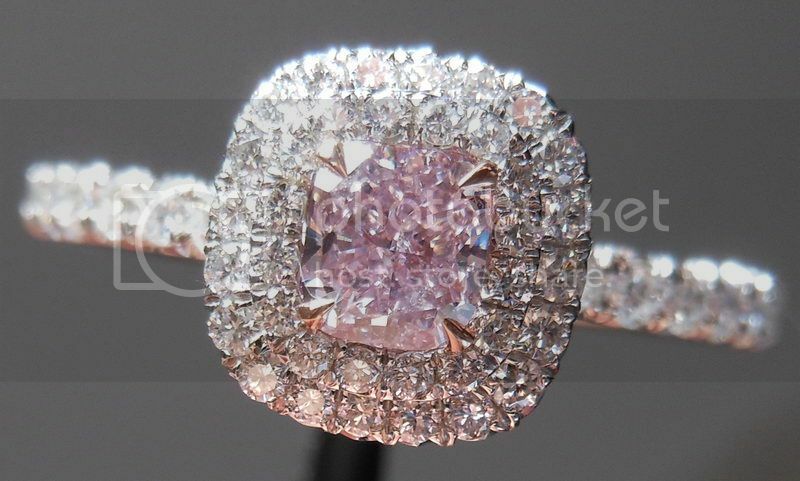 On this particular example, the setting has 42 E-F VS diamonds for a total weight of .27cts and 30 Fancy Pink round brilliant diamonds. 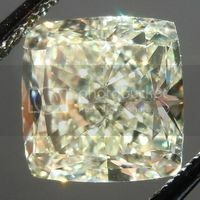 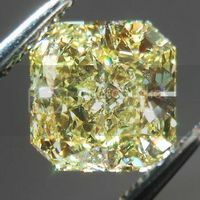 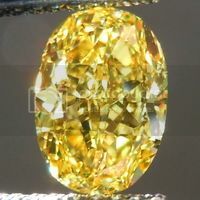 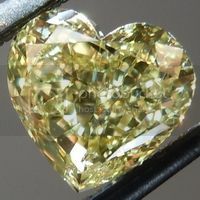 As shown below with a 1.08ct Y-Z, Natural Light Yellow Branded DBL Old Mine Brilliant Diamond (not included in the price of the listing). 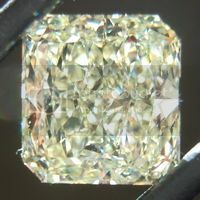 On this particular example, the setting has 65 E-F VS single cut diamonds for a total weight of .44cts. 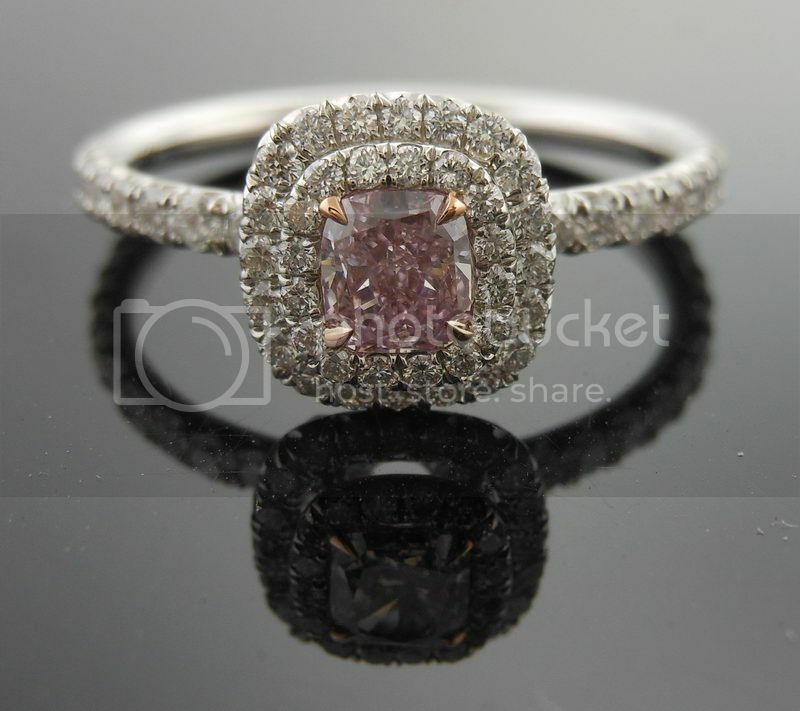 We look forward to working with you to find a beautiful set of stones for this gorgeous handmade setting.